Taking it slow, and really getting into a sketch, an idea, and the process before I jump into painting. 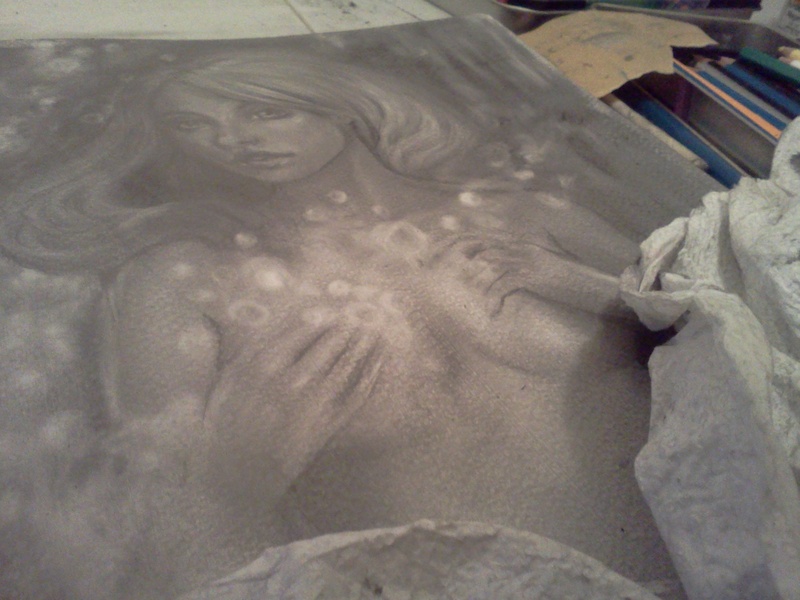 My hands are covered in graphite, but I’m happy with the work. Want to see what I’m working on? This is gorgeous! I’m excited to see the painted version too! Thanks! Me too! It is about 10 x 14 right now, and I was thinking about painting it at a 16 x 20 size. Wish me luck!